OnePlus is now selling its latest handset, OnePlus 6, on Amazon in the UK. Although the Shenzen-based firm has used the popular retail website to sell SIM-free smartphones in other markets for years, the practice has now made it to the UK. 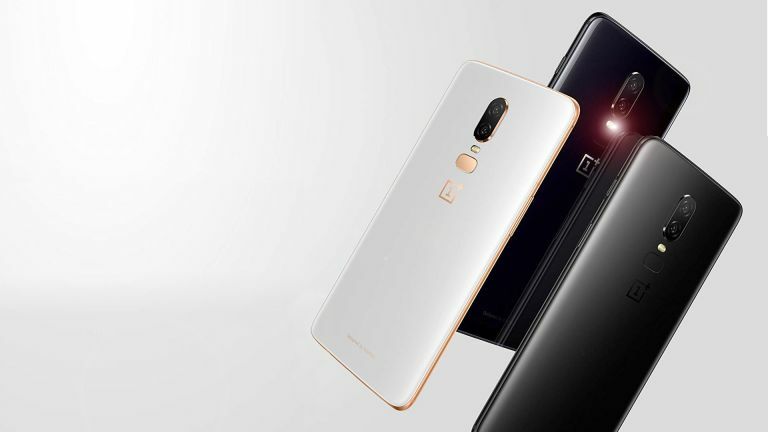 The arrival of the OnePlus 6 on Amazon marks the first time UK customers will be able to get their hands on OnePlus' wares without buying direct from its online store, or via exclusive network partner O2. OnePlus 6 is currently only available in its 128GB configuration, which costs £519 on Amazon. The flagship handset is also Prime-eligible, so those who fork-out for the annual Amazon subscription will be able to get their brand-new OnePlus 6 delivered next-day for no additional cost. Interestingly, OnePlus appears to be selling a larger array of colours on Amazon than its own website, including the limited edition Red colour that launched in July 10. OnePlus has already confirmed that its next flagship smartphone, OnePlus 6T, will be available to buy in the UK on November 6, 2018. So, it's very likely we'll see the new handset become available on Amazon following the announcement later this month. Whether OnePlus decides to keep the OnePlus 6 available to buy on Amazon following the launch of its successor remains to be seen. Until now, the firm has only sold one flagship smartphone model at a time inside its online store. However, selling any remaining units on Amazon for a cheaper price in the Black Friday sales could be a good way for OnePlus to shift its leftover stock. Meanwhile, OnePlus 6T is looking set to be one of the most impressive handsets of the year. Ahead of the launch event on October 30, OnePlus has been drip-feeding tantalising new details about its all-new device. OnePlus 6T will include a fingerprint scanner embedded beneath its glass display – a feature long-rumoured to be planned for the iPhone X, before being dropped because it was too challenging for Apple engineers. Despite the removal of the rear-mounted reader on the OnePlus 6T, the company has confirmed that its facial scanning system will return in the new handset. Leaks suggest the notch at the top of the 6.3-inch display, which is used to house the front-facing camera, speaker grill and sensors, will be a bit smaller this time around, more like the teardrop-esque design seen in the Oppo F9 earlier this summer. The smaller notch should allow much more space for notification indicators and information in the status bar. Elsewhere, OnePlus has revealed its next phone will ditch the 3.5mm headphone port – a first for the disruptive Chinese technology company. Luckily, there will be a USB-C to 3.5mm headphone port adapter bundled in the box, as well as a pair of redesigned OnePlus Bullet earbuds designed to connect via USB Type-C. The extra space inside the smartphone freed-up by the removal of the 3.5mm audio port will be used to increase the size of the battery amongt other improvements, OnePlus has revealed. We'll find out more at the launch event on October 30, so stay tuned.